If there is a risk to life or a risk of serious property/environmental damage contact Oxfordshire Fire and Rescue Service on 999. Be aware that during severe weather the emergency services will be very busy. 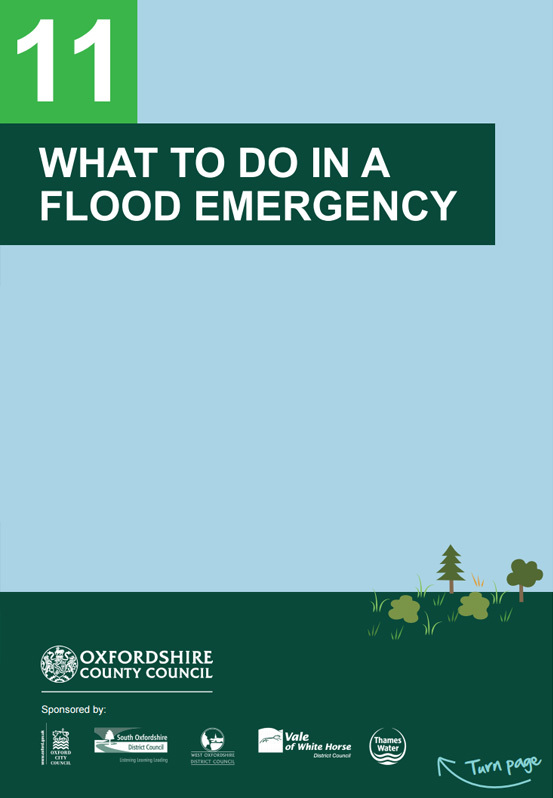 For other useful contact details and to report flooding to Oxfordshire Highways or your Water and Sewerage provider see our It’s an Emergency page. If you need to be evacuated then follow the steps in our Preparing to Evacuate? guide, so you know what to ‘think’, ‘do’ and ‘check’ before leaving your property. Do not drive or walk through floodwater. If it is necessary to walk through shallow water, take care for hidden holes, obstacles and other hazards.